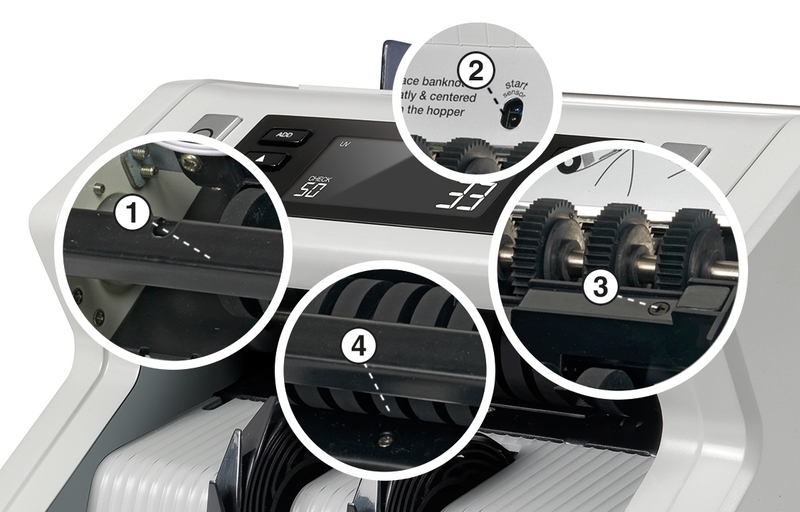 At one end of the spectrum, you have counters that just tell you how many pieces of paper you’ve fed them—but a whole lot faster than you could have counted them by hand (and without miscounting). 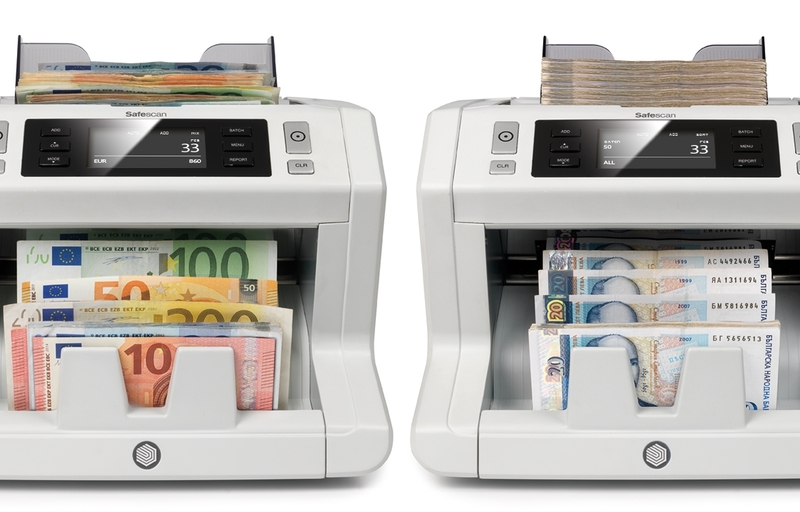 As you move up, you get to bill counters that automate more of the cash-counting process for you. 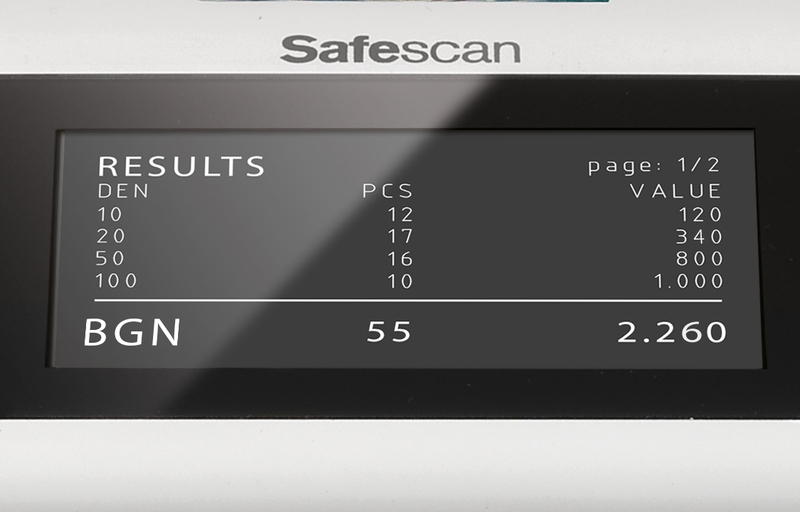 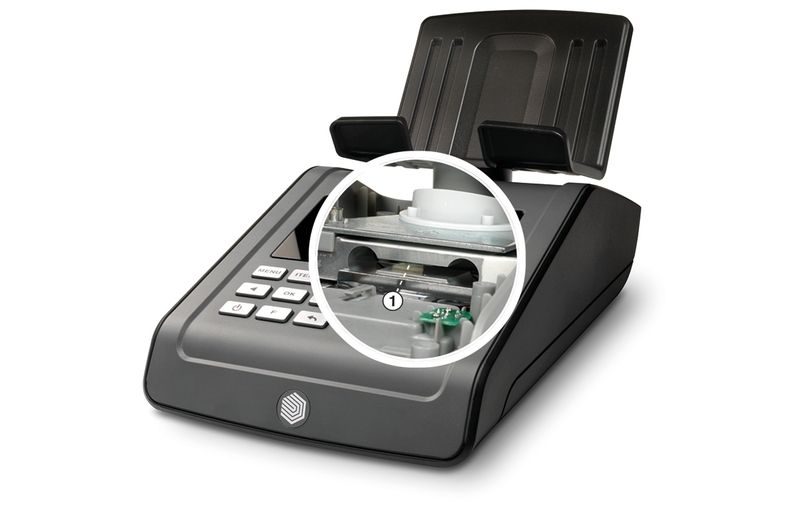 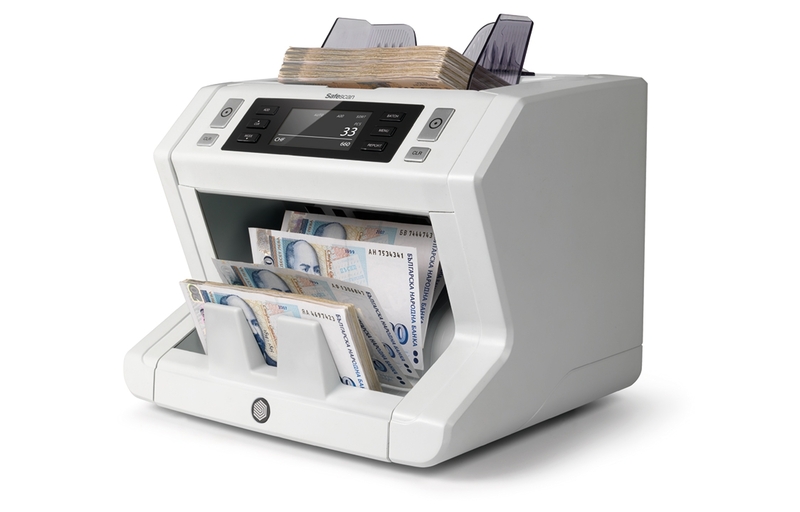 For example, all the bill counters in Safescan’s 2200 and 2600 series come standard with an add function that lets you sum up the number (and, if enabled, value) of bills over multiple stacks, and with a batch function that speeds up till and bank deposit processing by pausing after a certain number of notes have been counted. 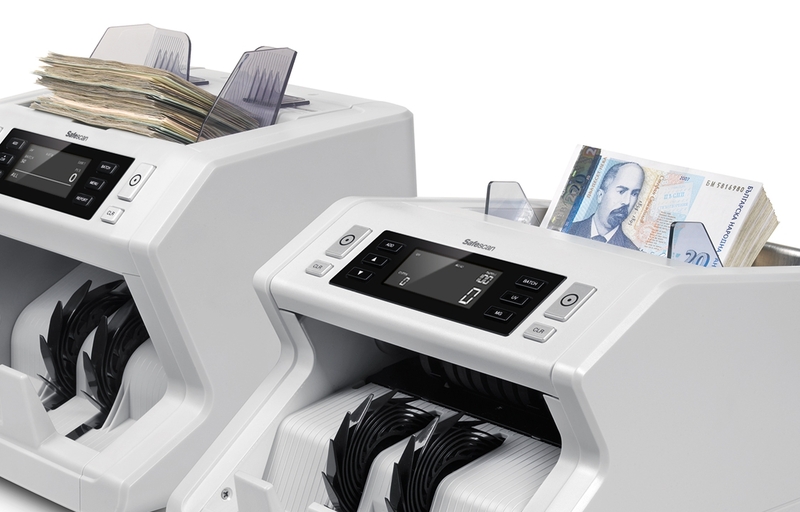 At the far end of the spectrum, you have sophisticated counters such as the Safescan 2685-S, which perform advanced counterfeit detection and value-count even mixed stacks of bills.